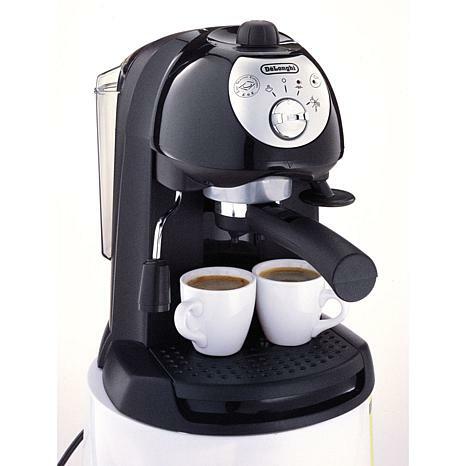 The DeLonghi BAR32 Pump Driven Espresso/Cappuccino Maker is a unique and popular espresso maker. 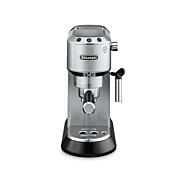 Stylish retro design combined with modern performance, this compact machine prepares espresso, cappuccino, coffee, latte drinks, and more. Its stainlesssteel boiler provides longlasting durability, while two separate thermostats allow for controlling water and steam temperatures. To avoid annoying startup prep work, the pumpdriven machine automatically selfprimes. Its 35ounce removable water tank is easy to fill and clean, and the jet frother makes any frothy milk beverage with ease. 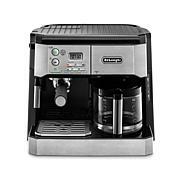 The unit's specially designed filter holder allows you the convenience and versatilty to use either ESE pods or ground coffee. Love this machine! It's a great starter machine if you've never used or had one. It doesn't take up a lot of counter space and it's very easy to use! Only minor drawback is you can't use a deep cup with the milk frother, it's kind of short, but that's not that big of a deal. It's a little complicated to use if you read the directions so I just got on YouTube and followed directions that way. It really is a great little machine once you get the hang of it. Good price too. 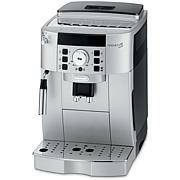 if you love espresso and cappuccino you'll love this little thing for home use. Nice and versatile with small footprint. 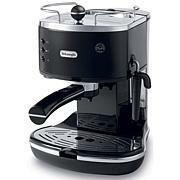 I'm not an expert on espresso but this machine works as advertised. Instructions are clear with illustrations which is hard to find today! I needed one because we travel, and this has saved so much money. Love it use it every day.